Doubtful WRC calendar for 2018. Turkey? Croatia? New Zealand? WRC Promoter and FIA’s WRC Commision will decide about the 2018 World Rally Championship calendar later this month in Germany, on a meeting during the ADAC Rallye Deutschland. 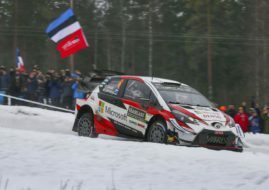 According to all official and unofficial sources, the main question is which event will replace Rally Poland – Rally Turkey, Croatia Rally or Rally New Zealand. Few months ago, Croatia and New Zealand appeared as candidate countries to take one spot on a calendar which was supposed to be expanded from 13 to 14 events. Then, safety issues at 2017 Rally Poland started a story that Polish event will be dropped off the calendar, opening a door both to NZ and Croatia. And then, Rally Turkey appeared as a possible returnee event on the WRC calendar. According to some major motorsport news publishers, New Zealand’s hopes have diminished and Rally Turkey became the main candidate to take September’s slot on the calendar. Croatia’s hopes of hosting its first ever WRC event depend on a decision about Poland. The Polish event is almost certain to be dropped and its date in July is free, but there is a big problem with Croatia Rally’s date. As Croatia’s coast and Istria region is full of tourists during a summer, Croatia Rally organisers cannot move their date from September to summer due to lack of accomodation capacities. The only possible date for Croatia Rally is during autumn, but Turkey is also preparing a new gravel rally for autumn period. What would be a decision of WRC Promoter and FIA? The first ever WRC event in Croatia? The seventh WRC event in Turkey? The 32nd WRC event in New Zealand?